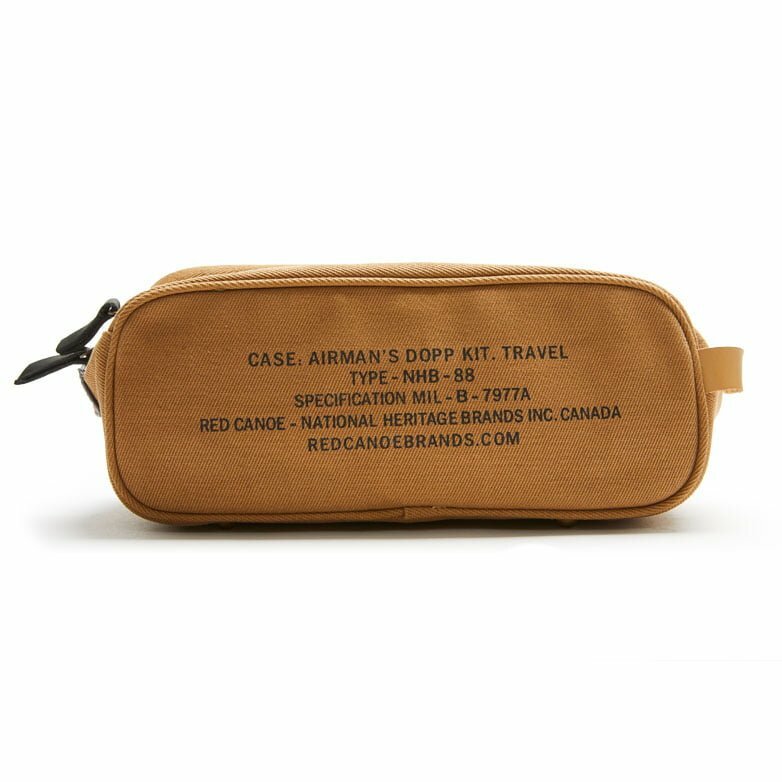 Canvas toiletry kit. 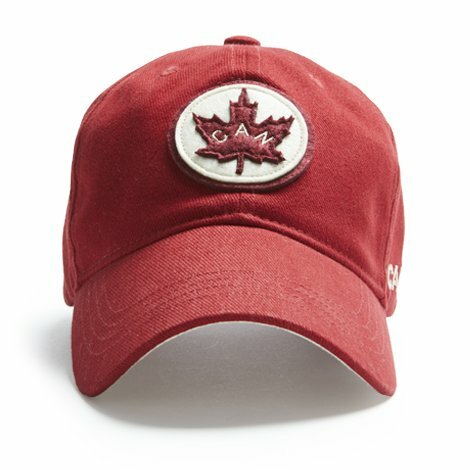 Red nylon water-resistant interior. 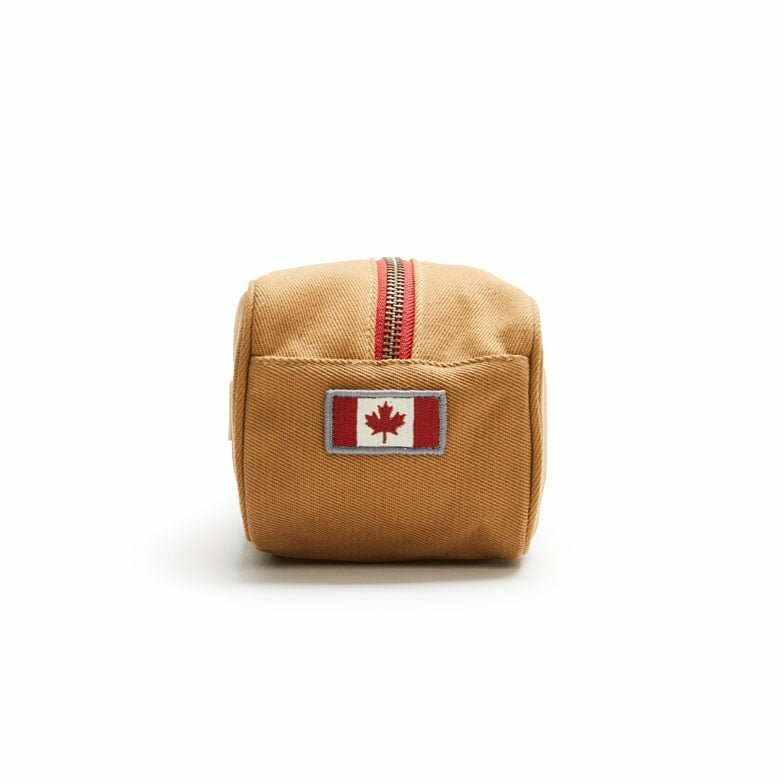 Our Canada Dopp Kit will hold all your toiletry essentials. 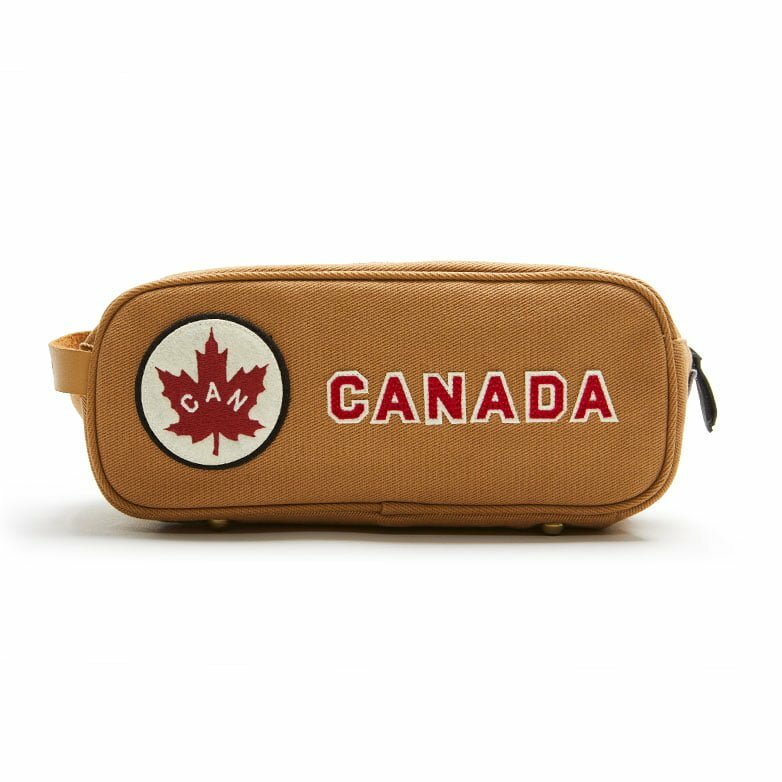 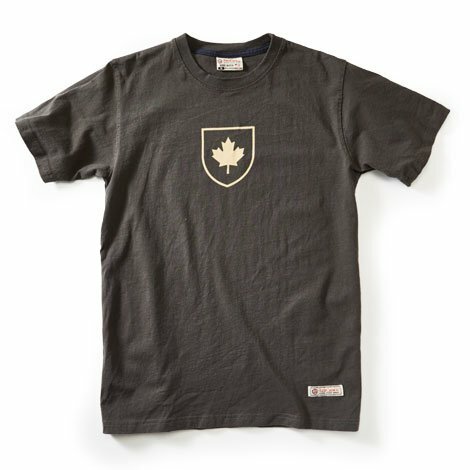 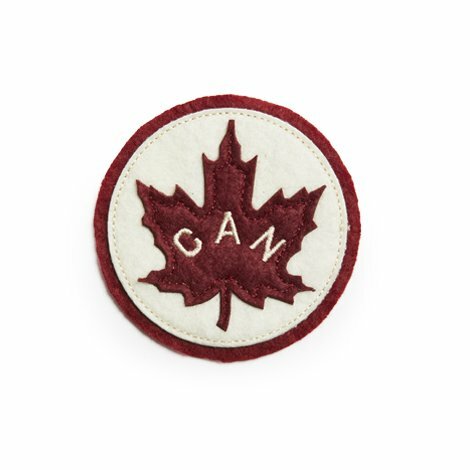 Tan canvas case with embroidered felt appliqué patch, with CANADA embroidered lettering. 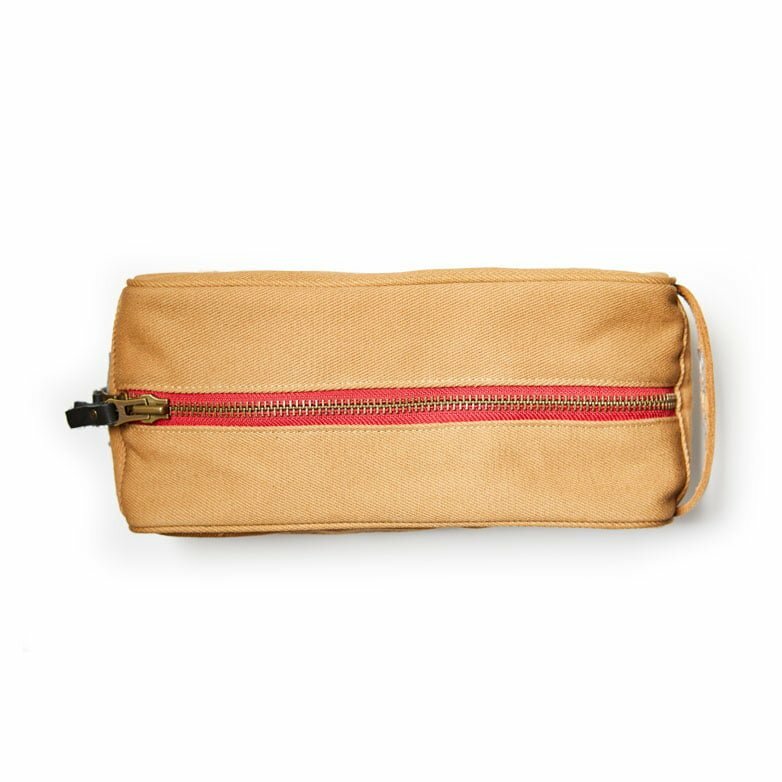 Antique brass zippers with leather handle pull for a easy closure. 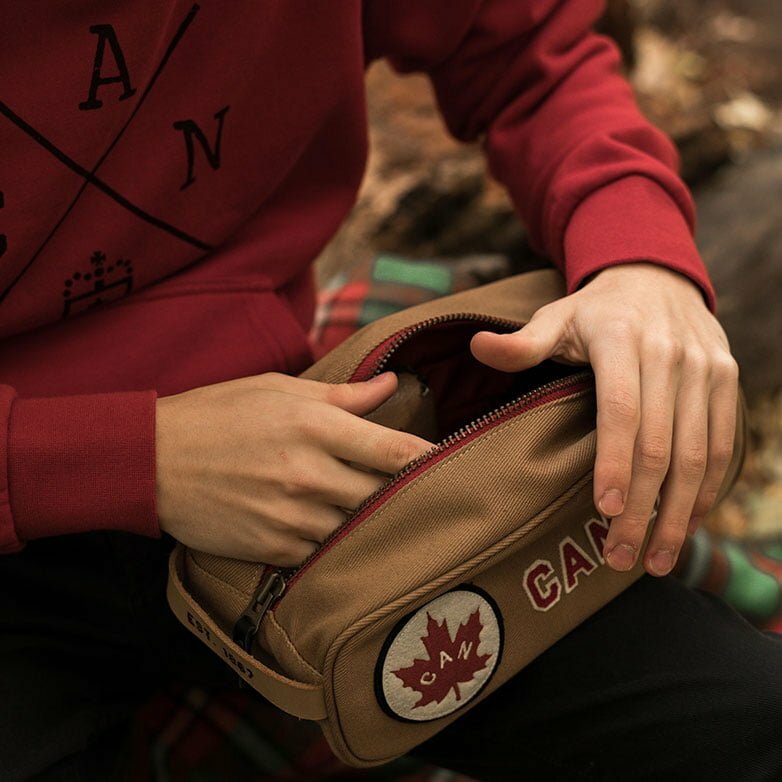 Red nylon interior with small side pockets.